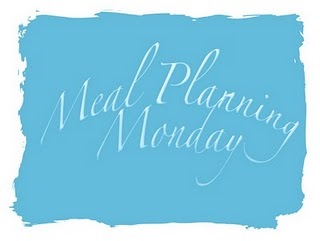 Back again for Meal Planning Monday with At Home with Mrs M, I am really getting into this idea and love that even if we don't have it in the exact order I know what we are having this coming week and what to get out of the freezer. Monday - BBQ Slow Cooker Brisket again, soooo yummy and we have friends coming over so it means we'll have plenty! Friday: We have a Mutton joint in the freezer so I might do that either as a curry or slow roasted with Rosemary. Saturday: We have got a party so maybe a buffet tea! Sunday: We are at the in laws for tea, think/hope she's doing Lamb. We have been making some Easter cupcakes this weekend and I will probably be making my favourite chocolate Easter cake at some point too. Also going to try a recipe from my newest recipe book, Apple Topped Loaf Cake, sounds divine. Mmmmm buffet tea! I could live on buffet party food! Oh wow, mutton - I'd LOVE to try that! Do you roast it just like lamb? ?